Sandra’s expertise and experience include organisation development and strategic human resources consulting, designing and delivering extensive leadership development programs; facilitation of team workshops; tailoring coaching and mentoring programs on an individual and organisation-wide basis; and facilitation of strategic planning. Sandra believes the key element in organisational success is to coach and mentor individuals and groups towards understanding what they want in their organisation, how to align this to their organisation’s goals, and how to achieve success for themselves and their organisations. During her extensive career, Sandra has held a number of strategic and operational leadership roles as well as consulting to a range of organisations in the public and private sectors both in Australia and overseas. Her broad experience has enabled Sandra to further develop her analytical skills as well as her natural pragmatism. She also understands the challenges and uncertainties that leaders face in today’s organisational environment. 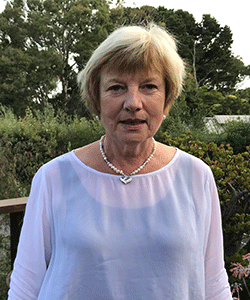 Sandra has worked for a number of organisations in a broad range of industries including financial services, retail, arts, health, education and information technology, as well as local, state and federal government departments. Sandra’s formal qualifications include a Master of Business (Organisational Change & Consulting), a qualification that has enabled her to consolidate her practical experience with the most current theoretical underpinnings to her organisational work. Sandra also holds a Post Graduate Certificate of Education and a Bachelor of Arts (Honours) in Politics. She is accredited in Human Synergistics and has had extensive experience in applying these tools.